The ultimate guide to the 3 best rooftop bars in Phuket in 2019. 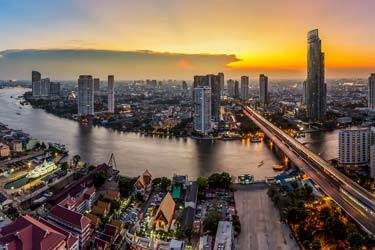 So, which is the best rooftop bar in Phuket? Here you'll find the best rooftops with all info you need about each place. Opening hours, dress code, pictures, maps and much more. With white beaches, great service and spectacular ocean views, Phuket is a superb vacation paradise for the true tourist. 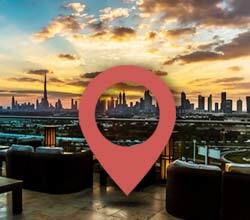 The rooftop bars located here are often perched at hotels with ocean view or at fancy restaurants up in the hills. 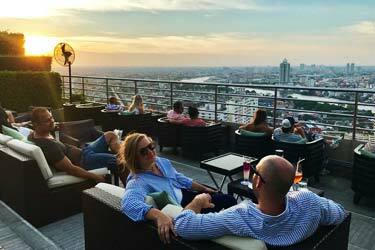 Just scroll down and find the Phuket rooftop bar best suited for you. Or use the Phuket rooftop map in the bottom right corner. 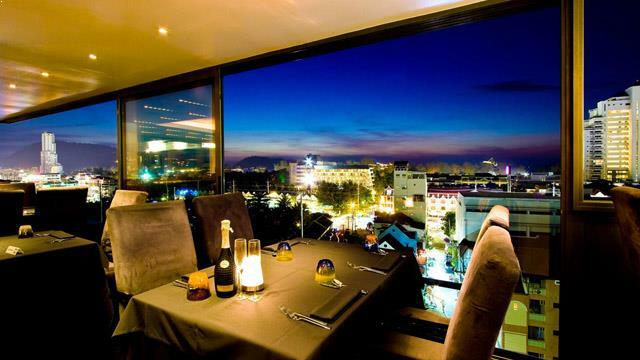 A fine dining oasis above the bustling streets of Patong. Perched on top of the Sky-Inn Condotel, the motto is "heavenly food served by angels". And the locations is closer to heaven then any other rooftop bar Phuket can offer, resulting in fantastic views over Patong. The 9th floor restaurant offers fantastic Mediterranean cuisine along with a wine list of over 300 wines, cocktails and premium spirits. Quite pricey, but with fantastic food and great service it is absolutely value for money. 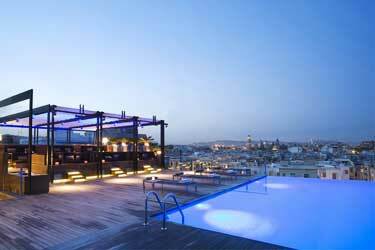 Located at the amazing Sri Panwa Villa Hotel, this is one of the world's most spectacular rooftop bars. Not winning any altitude competitions, but with an amazing 360° view of the Andaman Sea and the surrounding islands, plus a very stylish decor, it sure is something special. 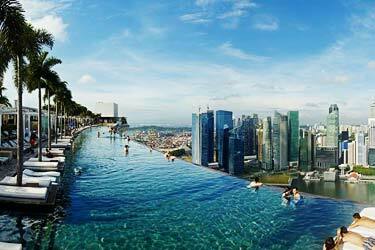 With a wrap-around infinity pool it almost feels as you are in the ocean. The puffy pillows are perfect and cosy chill-out spots to enjoy an amazing sunset along with fresh cocktails, a glass of bubble and maybe some Mexican-inspired bar bites. Situated on the top floors of The Kee Resort & Spa in Patong, you find this awesome Phuket rooftop bar. 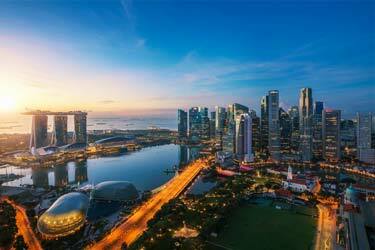 From up here you get fantastic 360-degree views out over the Andaman Sea. The two terraces have a bit different settings, where the 6th floor feels like a classic big Asian city rooftop and the 7th floor terrace more like the top deck of a big cruising ship, with sunbeds facing towards the ocean and even a small rooftop jacuzzi. 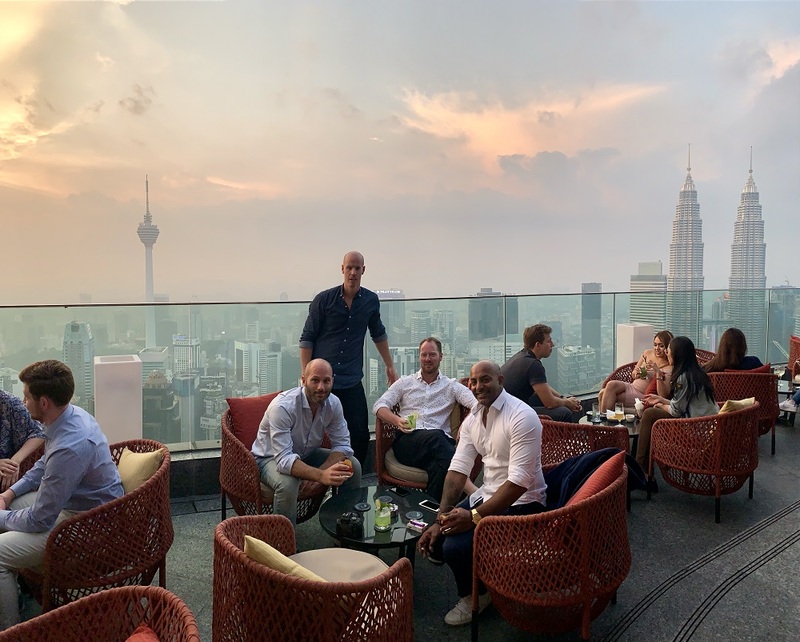 The rooftop bar offers European cuisine along with both creative cocktails and local crafted beers, all in a relaxed and friendly ambience. Discover the biggest collection of Phuket activities, guided tours and skip-the-line tickets. Anything you want you'll find right here. 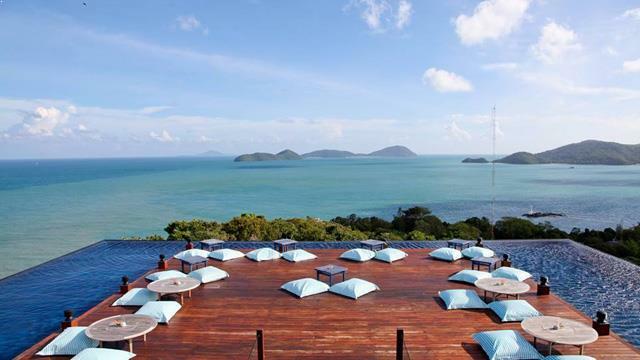 Which are the best rooftops in Phuket? This complete guide will help you find the best rooftop bars in Phuket. There are not that many rooftop bars available in Phuket. 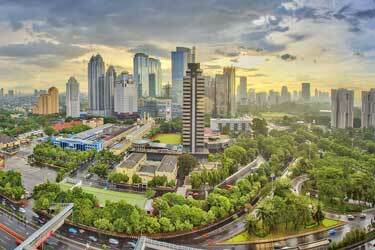 The low-built cities means most terraces are located on lower levels. But the rooftop bars available in Phuket are still spectacular with magical views over the ocean and landscape. 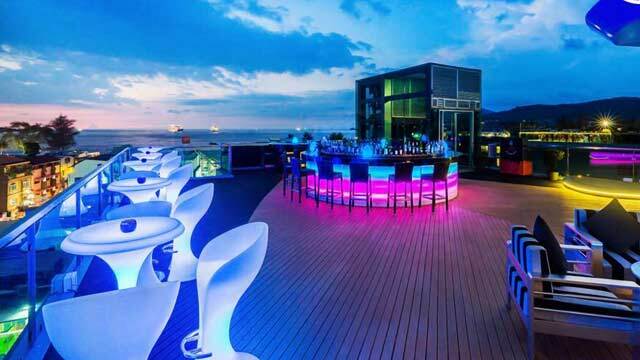 Most of the rooftop bars in Phuket are located at luxurious hotels or fancy restaurants. So expect to spend a little bit more money than you're used to here. Phuket is a province in Thailand and the country's largest island located on the southwest coast. 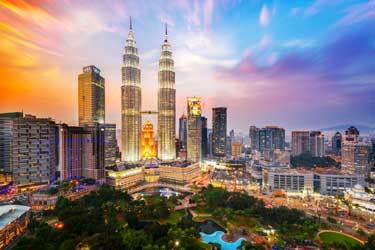 This island has the country's highest average income where tourism and rubber plantations are the main reasons for this. There are numerous beaches such as Karon Beach, Kata Beach and Patong Beach. These beaches are annually crowded by tourists from all over the world. This has contributed to Phuket no longer being so genuinely Thai.